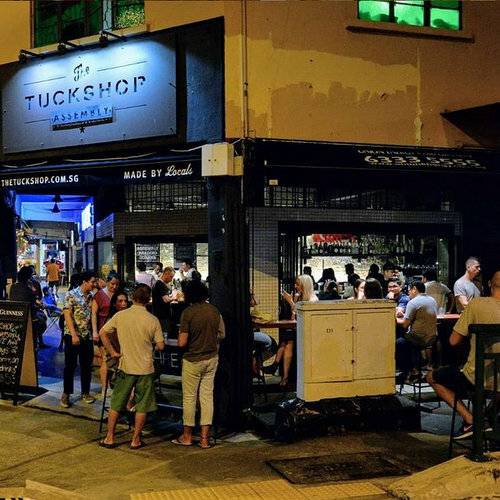 Cafe & bar The Tuckshop is located within Singapore’s historic Geylang, at 403 Guillemard Road. The Tuckshop is where old meets new in historic Geylang, as a local cafe & bar that is a contemporary social space that serves the community and provides a platform to showcase, celebrate, and nurture local talent. Visiting the place, you’ll discover a locally-inspired food menu, an exclusive wine list, selected whiskies, as well as a café drinks menu. The official The Tuckshop Singapore Facebook page is located at www.facebook.com/thetuckshopsingapore/. You can also follow The Tuckshop’s official Instagram account, which in turn is available at www.instagram.com/thetuckshop/.